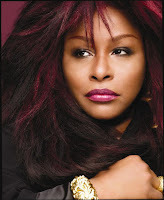 Chaka Khan with the George Duke Trio will kick off George Wein’s CareFusion Jazz Festival 55 on Friday, August 7 at the International Tennis Hall of Fame at the Newport Casino. Etta James had been scheduled for the date but unfortunately had to cancel due to illness. Get well soon Ms. James! While many only know Khan for her soul and R&B hits, she is no stranger to jazz. In fact, she and Duke have recently made a string of critically-acclaimed appearances on the European jazz festival circuit. Now, the pair are teaming up once again for an evening of jazz. Also on the bill, Israeli clarinetist Anat Cohen with guitarist Howard Alden in a salute to Benny Goodman. The evening will be hosted by radio announcer Ron Della Chiesa.